Despite my best efforts, I made some errors while writing my book Learn Better. In the space below, I’m going to keep a running list of any gaffes or mistakes or needed clarifications. I’ll also send this list to my publisher to make sure that these errors are corrected in future editions. If you find any additional errors, please email me and I’ll list them here, and again my regrets and apologizes for the mistakes. On page 107, I incorrectly identified where Joshua Aronson did his graduate school work. He got his PhD from Princeton, not Stanford. On page 296, I misspelled Giada Di Stefano. It is Giada, not Giadia. Need quote after “Learn Better. I’m in France currently,heavily engaged, will get the book when I’m back in Oregon in May. Looks super useful! I’m finding it hard to get past the errors in this book. I’m only up to the second chapter and haven’t written them all down, but on page 47 it says “what’s why tutoring is so effective” instead of “that’s”. In the same chapter you describe the phrase “just do it” as having one dozen letters- there are eight. However, I look forward to reading the rest of the book. Thanks so much, Melissa. It’s quite embarrassing to have such errors, and I’ll be sure to fix them in the next printing. Look forward to hearing what you think of the rest of the book, and thanks again for reaching out. Page 54 the sentence “had asked once him to create” should read “had asked him once to create”. Page 83, ‘develop’ chapter: one of the sentences reads”it’s hard to hard to hear”. ‘Hard to’ has been repeated twice. Page 83: “creating understanding” should read “create understanding”. On p. 156, there is the Socrates Venn diagram. This does not feel like the right Venn diagram. 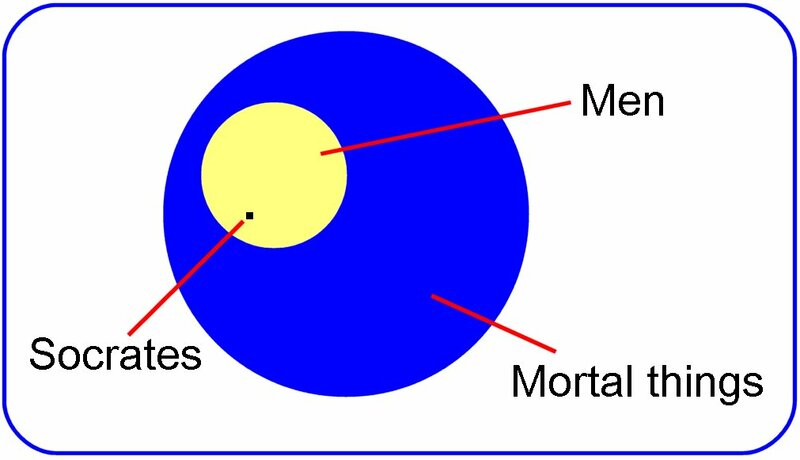 For example, what does the region where mortal and men don’t intersect represent? For an arguably better Venn diagram to represent this concept, I suggest looking at https://simanaitissays.files.wordpress.com/2016/07/venn1.jpg . On the next page – your mind map – there is some inconsistency in the arrows. August 4, 1834 had an arrow labeled “born on” pointing to John Venn. This feels like that date was born on John Venn. Feels weird… I recommend swapping the direction of the arrow here. The “died on” arrow feels correct, for example. There are places in the book where it’s referred to as “Hackerthon” and other places as “Hackathon”. The generally preferred way of saying it is Hackathon. I just finished the book this morning, and will be recommending it to my friends and colleagues! When someone told Grant Cardone there were a lot of errors in his book he said….. So what? It´s a best seller. When someone wants to learn, mistakes in printing, grammar or the count of words in a phrase are not really important. Great book. I have learned a lot and I am putting into practice many of your suggestions in my classroom and my EFL project that has more than 3000 students. I believe the question to “pop quiz #21” (p. 155) should read “To which of the following should you NOT tailor your learning?” based on the answers A and E indicated in the answer key (p. 263). Scott, you’re right. Thanks for the flag. Will be fixed in later additions.